Good location on the strip and good pricing for the rooms. Would be a great place to stay if you have kids. Very family oriented!! The theme park is great for a rainy day when you've got kids. I liked that its kids friendly we had a very good time . The property has numerous food places, activities, and things to do. The room was great, clean and worked sufficiently for our needs. We only stayed one night and it was great for that. We didn't hear the adjoining rooms nor the room above us. The arcade was awesome!! The pool was the highlight of our stay! The bartenders were on point! 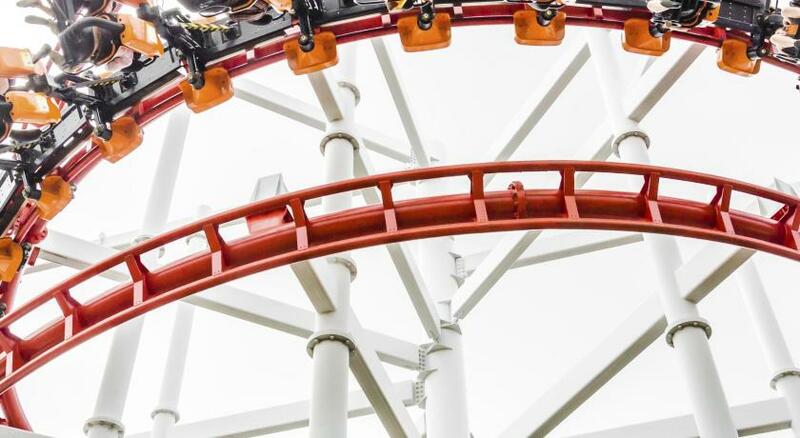 Circus Circus Hotel, Casino & Theme Park This rating is a reflection of how the property compares to the industry standard when it comes to price, facilities and services available. It's based on a self-evaluation by the property. Use this rating to help choose your stay! One of our best sellers in Las Vegas! 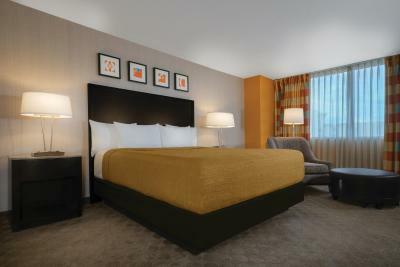 This Las Vegas Strip hotel is 5 minutes' drive from the Las Vegas Convention Center. 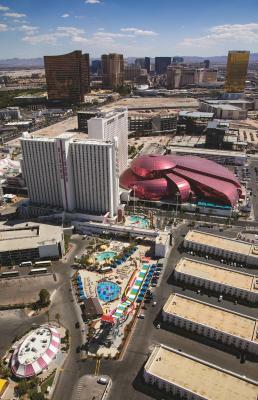 It features Adventuredome, an indoor theme park with a large roller coaster, plus circus-themed acts. 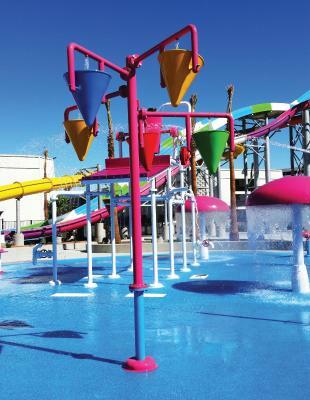 Circus Circus Splash Zone pool experience features a 50 foot waterslide tower with three slides, a splash pad water playground, shaded cabanas, hot tubs and two pools. 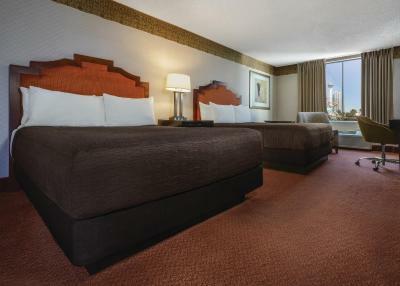 At Circus Circus Las Vegas, each spacious nonsmoking guest room is equipped with a cable TV. Guests can enjoy the on-site restaurant, Vince Neil’s Eat Drink Party, which offers up signature Tatuado burgers, burritos and more. Free nightly entertainment as well as drink and food specials are featured. Circus Circus features 40,000 square feet of shopping at the Promenade. The Carnival Midway is also on site and features 200 popular and classic games for all ages. There is also an outdoor pool available and free parking. Slots and table games are located at the Circus Circus Casino. Guests can watch races and sports on 32 large-screen TVs as well as a 103-inch TV that shows the game of the day. 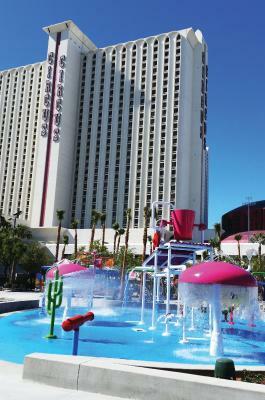 When would you like to stay at Circus Circus Hotel, Casino & Theme Park? In 29-story tower close to the pool and the Adventuredome, this non-smoking room features a flat-screen cable TV with pay options. An in-room safe is also included. Decorated in desert-sunset tones, a flat screen TV is provided in this nonsmoking room. Type and number of beds to be determined upon arrival. 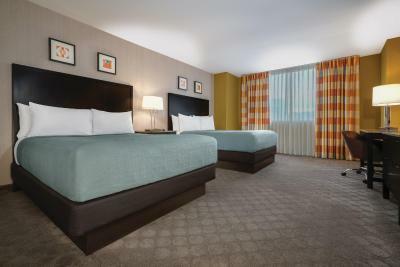 The smoke-free Manor Motor Lodge room is located in one of five unconnected buildings adjacent to the hotel lobby and casino. Free self-parking available outside each building. 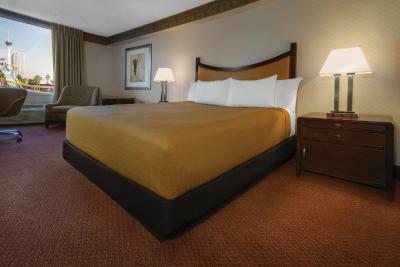 Located above the lobby, this non-smoking room features a flat-screen cable TV with pay options. An in-room safe is also available. A 40-inch flat-screen TV is featured in this non-smoking room. An in-room safe and ironing facilities are also included. 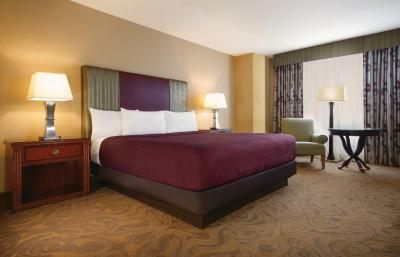 This nonsmoking double room features a seating area, cable TV and air conditioning. This nonsmoking air-conditioned room has a seating area and a cable TV. House Rules Circus Circus Hotel, Casino & Theme Park takes special requests – add in the next step! Circus Circus Hotel, Casino &amp; Theme Park accepts these cards and reserves the right to temporarily hold an amount prior to arrival. Circus Circus Hotel, Casino & Theme Park accepts these cards and reserves the right to temporarily hold an amount prior to arrival. -When booking multiple rooms, individual names are required for each reservation. - Self parking and valet parking are available in the main garage. An additional fee applies for valet parking. 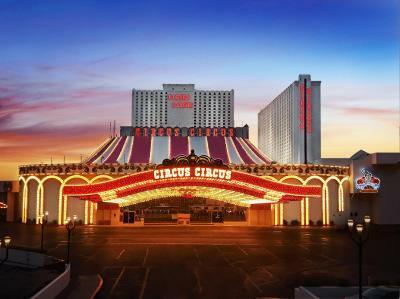 - Circus Circus Las Vegas does not accept cash deposit for incidental charges and requires a credit or debit card upon check-in. - Guests are requested to contact the property for bookings with 10 rooms or more. Please note that bookings of 10 rooms or more may be subject to different terms and conditions. - Regarding the cancelation policy: The 72-hour cancelation window closes at 17:00 three days before the arrival day. 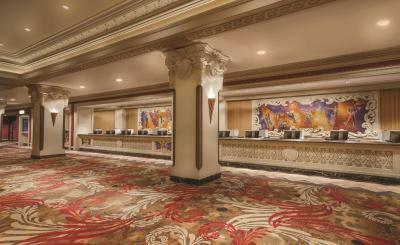 - The parking fee provides guests with in-and-out privileges for both valet or self-parking. The property will place an authorization on credit or debit card to cover applicable charges for room, tax and resort fees, as well as a USD 25 incidental amount per day to allow you access to room charging privileges. This may result in additional authorizations should your charges exceed the originally approved amount. Guests using a debit card in lieu of a credit card acknowledge unused funds are released upon check-out may take 3-7 business days for domestic banks and up to 30 days for international banks to become available through their financial institution. Please note, approved early check-ins for same date arrival are 2hrs before 15:00 check-in. The window of our room needed cleaning. The circus acts and games for the kids. The room smelt like carpet cleaner or something gave us a headache and there was no coffee pot in the rooms. Paid on price and had to upgrade to get a better room. It was a no frills room. Was a long walk to the strip and the monorail stops running at 6pm. 1. No coffee maker 2. No fridge in the room 3. Very expensive. At 147 dollars per night i would have got room in better place. 4. Long queues at checkin desk, after 12 hours of journey had to wait for atleast 30 to 40 mins for checkin. 5. Long walk from parking lot to reception. 6 Actually except bed and room there was nothing that i can think of that impresses me to choose this hotel again. Cant even remember even one thing.. I love all the shops an attractions for the kids. The hotel would probably be okay if it weren’t for the quality of guest! Aside from the constant smell of weed (maybe this is a Vegas thing) the place is generally grubby and low rate. Facilities are good for kids. The hotel is really tired, it needs a revamp desperately. The decor and facade is crumbling, it's quite sad. Old hotel. No fridge. A bit smelly. Wouldn’t stay there again. The price advertised for the "manor" room is in a rundown cellblock behind the pool. Luckily, the front desk offered an upgrade to a tower room at check-in. Between the cost of the room, the upgrade to a decent room, and the outrageous resort fees, our bargain room wasn't a bargain and we could've stayed somewhere nicer, further up the Strip.